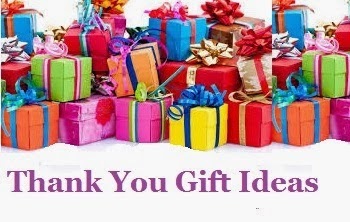 If you have forgotten birthday of your near and dear ones then you shouldn’t waste any more time! Just send heartfelt birthday wishes as soon as possible, even if it means sending belated happy birthday wishes. 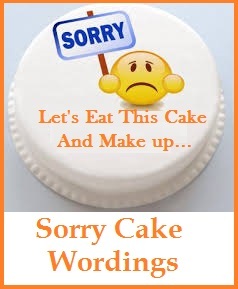 The belated birthday message needs to convey that you are sorry for forgetting to wish the birthday boy/girl and here are some sample sorry messages for forgetting birthday that you can take a look at. Even if I have forgotten to wish you on your birthday by a mile, I hope that you celebrated it with a huge smile. Happy birthday to you. I am very disappointed with myself because I forgot to wish you on your birthday. I hope that you will forgive me and won’t be mad at me. Belated Happy birthday dear! Even if I did not wish you on your birthday, you are still the most special person in my life. I want you to be happy in the year ahead, happy birthday! I would not say sorry to you because I am sure you already know that I am. Just tell me how I can make up to you and I will. Belated Happy birthday! I not only forgot to wish you on your birthday but I also forgot to brush my teeth, wear my tie and eat my lunch. I am really forgetting things often these days. Happy belated birthday to you. You live life in the fast lane but you know that I am a little slower and that is why I am late to wish you on your birthday. Happy belated birthday. You know, it is better late than never and I hope that you had one of the best birthdays ever. Do you need a reason to go and party? Well, till the belated birthday wishes keep flowing in, you will have all the reasons for partying. Happy birthday to you. I did not miss the opportunity to wish you on your birthday, I am just being fashionably late. Happy birthday, hope you had lots of fun. A belated-birthday wish that this year your life will continue to be filled with happiness and success. It is not a sin to forget but it is a sin to not wish even when you remember it. Happy belated birthday. I honestly forgot that it was your birthday. Please forgive, I will make it up to you with a surprise gift. Happy birthday! Friendship is a gift we all cherish forever. But the journey to friendship sometimes takes crooked bends. For instance, when you forget your buddy’s birthday. Not only do you end up disappointing your pal but also feel guilty about it. 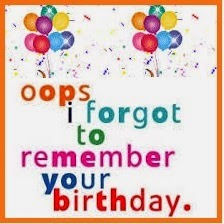 Here is a list of sorry messages for forgetting birthday of friends which can really help you a great deal. The following belated happy birthday wishes and messages could lessen the hurt. Though it would be nice if you send the belated birthday messages along with flowers or a gift. I am really sorry for messing up. I didn’t mean to hurt you and can understand how mean you must think I am. But believe me, I didn’t mean it. I am truly sorry. Hapy Belated Birthday! I know I have made a huge mistake this time. But I also know that you are the only one with whom I can make such mistakes and get away with it too. And most of all, I know that you are the one person who will always forgive me. I am sorry from the bottom of my heart. Please accept my belated happy birthday wishes. I am sorry for not wishing you / attending your birthday party. I was annoyed at our tiff earlier this week. But now I realize what I really missed. I miss you my friend. Can we please put our differences aside and be friends the way we were? I am sorry I missed your birthday. I tried my best to come but the flight was delayed. Let’s meet up this weekend and celebrate your birthday like we always have – with movie, shopping and dinner! See you soon. I am sorry for forgetting your birthday. You mean so much to me and I hurt you. Please forgive me. Happy belated birthday wishes. I am truly sorry for forgetting your birthday. I was always the first one to wish you on your birthday. Please forgive me. Please don’t let this mistake ruin our friendship though I know it’s a huge mistake. I am really sorry. I am very sorry for missing your birthday. I wish I wasn’t so preoccupied, I wish I wasn’t so bothered about missing my deadlines, I wish I was more organized (as you have always rightly said about me), I wish I was not so forgetful. And I wish I could be as good as you are. Please, please, please forgive me. I am so sorry for missing your birthday. There is just no excuse for missing your birthday. I am really sorry. But I hope you will understand that I really didn’t mean to. I am sorry. Sometimes circumstances force us to unintentionally hurt the most cherished people in our lives. I am really sorry for forgetting your birthday my dear friend. I am so sorry for letting you down on your special day. It won’t happen again. I’ve learnt my lesson that work life should never be allowed to overshadow your friends. I am deeply hurt for forgetting your birthday. Please forgive me. If there’s one thing that I’ve learnt from this incident, it is that I should keep my calendar organized. I am truly sorry for forgetting your birthday. I cannot blame anyone except me for such inexcusable behavior. Happy belated birthday to you.